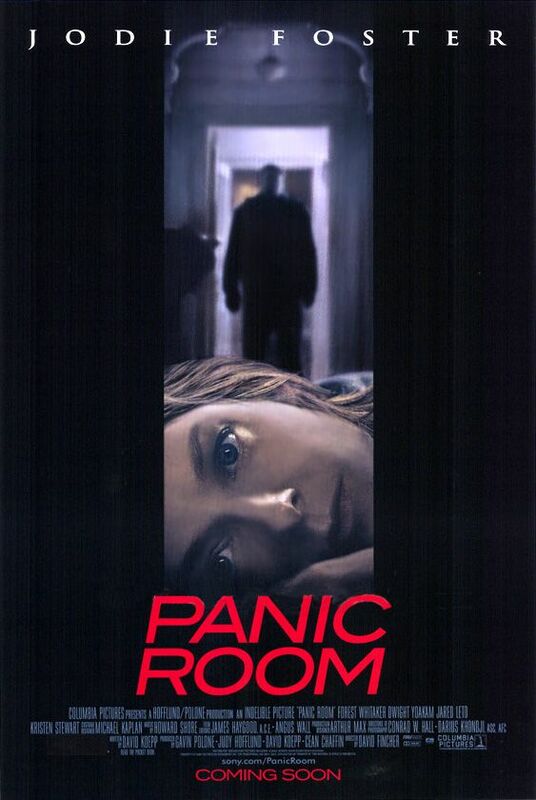 Just OK Jodie and her diabetic daughter close themselves off in a panic room when a trio of hoodlums break in for a hidden fortune in a safe.The problem: the safe is in the panic room. It's well-acted (especially by Jodie Foster and Jared Leto), well-directed (Fincher achieves some incredible traveling shots and shots between floors and walls) and purposefully dark--but it's just average. The plot is original but, other than that, it goes through the same motions any other genre picture would go through.I saw every single plot twist coming and the constant darkness and dim lighting really gets depressing after a while.Also I never felt any urgency for the people and their situation--I was always aware I was watching a movie.And I don't like it when movies put an innocent little girl in danger. It is somewhat worth seeing for Jodie alone (with all due respect, she's a better actor than director) but she's done better movies.Ditto for director Fincher.So, I can't really recommend it, but you could do worse.